All family and friends are welcome to join us for a casual end of year celebration. BBQ sausages, bread and salads will be provided. BYO drinks. Children are welcome and the evening will conclude by 9pm. 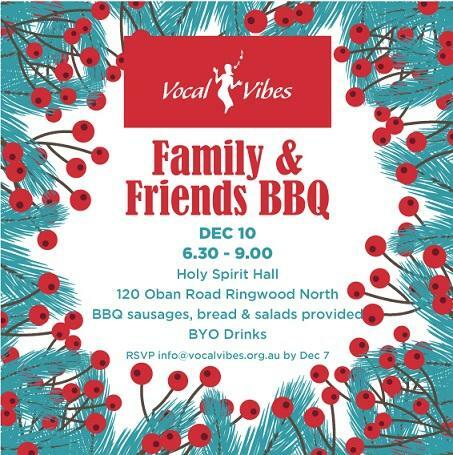 RSVP to info@vocalvibes.org.au by 7th December or by indicating your attendance to a Vocal Vibes member.